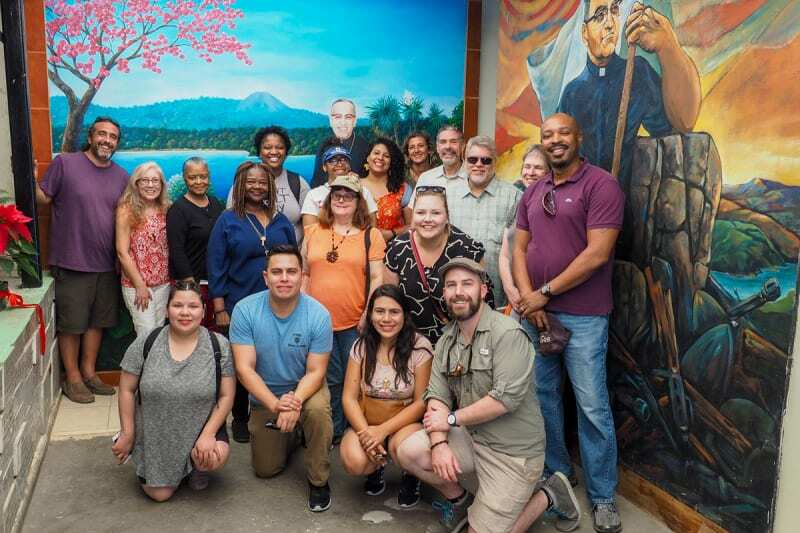 Perkins immersion group at the Monseñor Romero Centro Historico, outside of the apartment where Romero spent his final years in San Salvador, El Salvador. Photo c/o Perkins student and trip participant, Zach Hughes. Deborah Creagh recalled the feeling of “walking where Jesus walked” on stones where his feet might have trod. Zach Hughes will always remember the resiliency and strength of the people he met in El Salvador who are working for justice. Ashley Smith will never forget an unexpected encounter in a museum that confronted her with the reality of life in Palestine. Creagh, Hughes and Smith are among those in the Perkins community who returned to campus this semester with heartfelt memories and fresh perspectives, following their travels on the 2019 January term Global Theological Education Immersion Trips to El Salvador and Israel/Palestine. 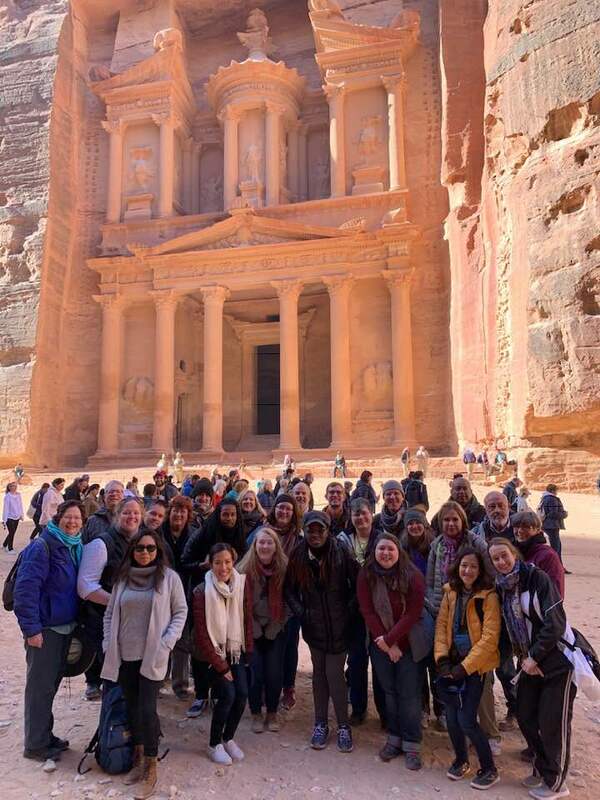 A group of 15 students journeyed to the Middle East for the Israel/Palestine trip, led by faculty members Jaime Clark-Soles (Lead Teacher) and Robert Hunt (“Tour Wrangler”) from January 1-16. Another group of 13 students, led by Hal Recinos, traveled to El Salvador to meet with human rights groups and faith groups, January 6-13. The trips gave students the chance to meet people and gain a better understanding of conflicts and problems in each region. 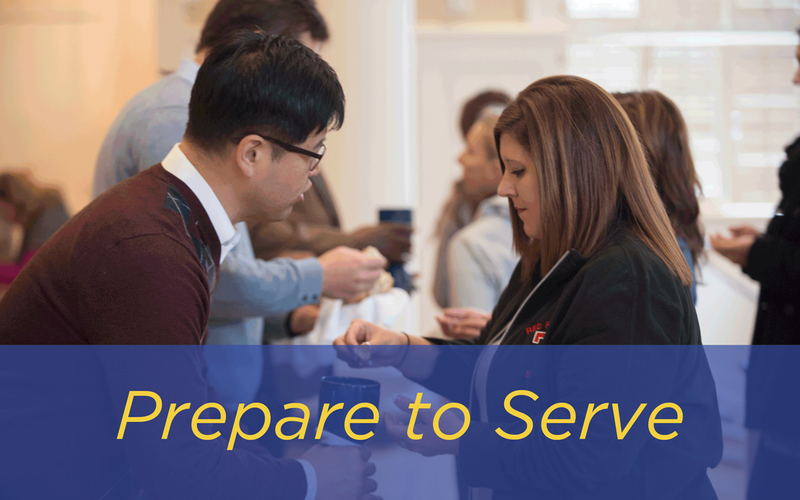 Many students came home with a renewed determination to serve. “The trip has really stirred something in me,” said Smith, an M.Div. student who traveled to Israel/Palestine. “The conflict is real, and it’s still happening today. I came home with passion and energy to read and research more, and I hope to get back there. Participants on the 16-day Israel/Palestine trip visited Tel Aviv, Jerusalem, Bethlehem, Megiddo, Nablus, Taybeh, Nazareth and Cana, among others, with a side trip to Petra, Jordan. Also on the itinerary were key sites that figure prominently in the life of Jesus, including Manger Square, the Garden of Gethsemane and the Sea of Galilee. Some participants were surprised by the close proximity of the biblical landmarks. 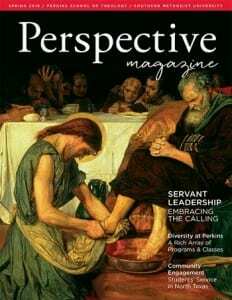 “Coming from the U.S. – especially Texas – it seems they are all a stone’s throw away from one another,” said Kurt Maerschel, an M.Div. student who will graduate in 2019. Students say the trip gave them a better understanding of the conflict between Israel and Palestine – and how it affects ordinary citizens in both communities. For Smith, that moment came at an exhibit in the Walled Off Hotel in the Palestinian territories. While she was viewing the exhibit, a phone began to ring insistently. Finally, she picked up the receiver and heard a voice warning, “You have five minutes to evacuate your home before the missile comes.” Echoing phone alerts from the Israeli army before attacks, the call was designed to give visitors a sense of the peril of life in Palestinian communities. Smith said she stood for several moments, holding the phone, stunned. Seeing her tears of dismay, a Palestinian woman hugged her. “I think it helps when we take God out of a box that we put God in, and just meet people where they are and for who they are,” Smith said. 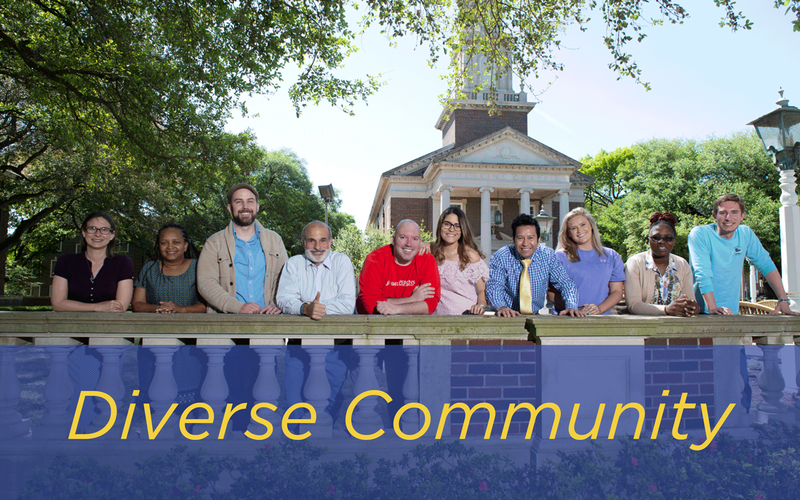 For the past 15 years, human rights groups in El Salvador have received delegations of Perkins students, thanks to connections forged through the work of Hal Recinos, Perkins Professor of Church and Society. This year’s trip took students to San Salvador and other communities around El Salvador. The group met with Pro-Búsqueda, a San Salvador-based association of Salvadoran families who have suffered from the forced disappearance of their sons and daughters due to the civil war in El Salvador. Zach Hughes, an M.Div. student on the trip, was heartened by Pro-Búsqueda’s success stories. 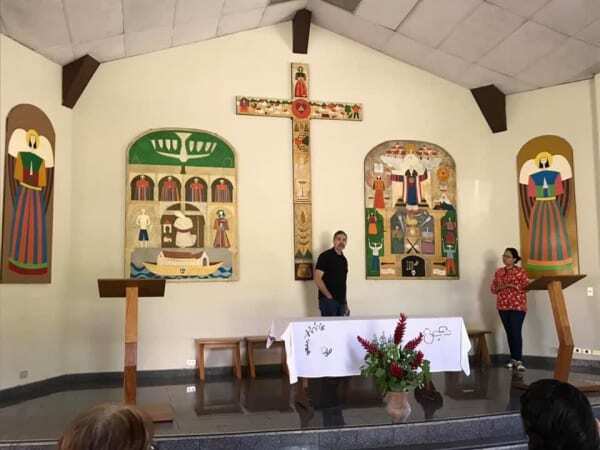 Group members also met with several Christian Base Communities of El Salvador (Basic Ecclesial Communities of El Salvador), in San Salvador and in the Department of Morazán, to discuss human rights and building a culture of peace. (Departments are municipalities, akin to provinces, in El Salvador.) The group also visited El Mozote, site of a massacre in 1981, in which the Salvadoran Army killed more than 1,200 civilians. “Students heard firsthand from a village member about the military war crimes that took place and cost the lives of innocent men, women and children,” Recinos said. The group met with Rev. Medardo Gomez, Lutheran Bishop of El Salvador, human rights activist and four-time Nobel Peace Prize nominee, and the Tata (Chief) of the Lenca people in the Department of Morazán. While visiting the Lenca people, they participated in a ritual of cleansing with the community, enjoyed a communal meal and heard about the state of indigenous rights, and social, economic, cultural and spiritual development among the Lenca. Some students played soccer with the village children in a cow patch; some of the female students danced with the village girls. The group also met with staff and students at one of the Romero Center Schools to discuss the role of education in breaking the spiral of violence, producing a culture of peace and anti-gang prevention. 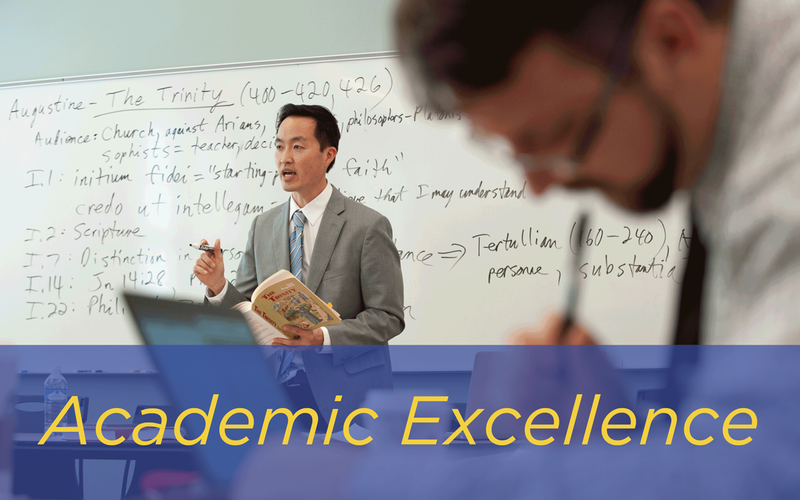 Recinos co-founded the Romero Center, which supports five schools in marginal communities in El Salvador. Recinos says he hopes the experience gave students perspectives on both politics and faith, and how they relate in facing El Salvador’s challenges. Registration is now open for two immersion trips planned for the summer term: the San Diego Borderlands Immersion (May 19-30) with Susanne Johnson, in conjunction with the Center for the Study of Latinx Christianity; and an England/Wesley Immersion led by Ted Campbell (July 10-22).